This information hub is designed to aid your completion of the mandatory units for both your NVQ and BTEC aspect of the qualification. Work your way through the reading and have a go at the quizzes and tasks! Good luck and have fun. Work through the reading, quizzes and tasks and submit! The successful completion of this can go towards the completion of your unit and referenced into your portfolio. Simple answer: A dangerous working environment can lead to increased risks and accidents within the work place. Safe working practices should be followed at all times, i.e following manual handling practices will decrease injury and make employees feel safe. Hygienic practices including washing your hands, following safe food preparation standards and wearing clean uniform not only prevent the spread of bacteria but also sustain the good reputation of the business. "...any transporting or supporting of a load (including the lifting, putting down, pushing, pulling, carrying or moving thereof) by hand or bodily force". The load can be an object, person or animal. The MHOR 1992 set out a clear ranking of measures for dealing with risks from manual handling. Have a go at linking the sentences together to help you create a clear check list of how to avoid injury when manual handling. ‘Every person working in a food handling area shall maintain a high degree of personal cleanliness and shall wear suitable, clean protective clothing’ where appropriate - what does this mean? There is a requirement that all food handlers ensure that their personal habits and practices, while at work, do not expose food to a risk of contamination. Personal hygiene means that individual food handlers should ensure that they have high standards of personal cleanliness and develop clean habits to help reduce the risk of contamination. High personal standards of hygiene are essential, as there are a number of ways that the food handler can contaminate food. Food handlers are a cause of possible contamination, from the mouth, lips, nose, ears, skin, hair, hands, cuts, abrasions, sores, bowel and the gut. What should food handlers do? 1. Cover all cuts and wounds with a waterproof dressing. 2. Keep hair clean and tied back and if necessary covered. 4. Wash hands properly and frequently. What should food handlers not do? 1. Smoke in a food area. 2. Wear jewellery that cannot be adequately and easily cleaned. 3. Wear pieces of jewellery, or ornate jewellery with stones, that can fall into food. 4. Wear nail varnish or false nails. 6. Cough and sneeze over food. 7. Taste food with fingers. 8. Lick fingers when picking up wrapping materials. 9. Pick or scratch nose. 10. Blow into bags to open them. 11 Touch hair or scratch head while handling food. Have a go at matching the different types of hazards to the defined term, this will help with your understanding of food safety hazards. You must wear the correct uniform within your establishment, this is not only a company requirement but it also ensures that you comply with the law. Some uniform includes items that are for your personal protection, this is known as PPE (Personal Protective Equipment) and includes items such as a chef's hat, apron, hairnet and steel to cap shoes. Why is it important to wear PPE in the workplace? Who would you contact if you suspect a customer may require first aid assistance? 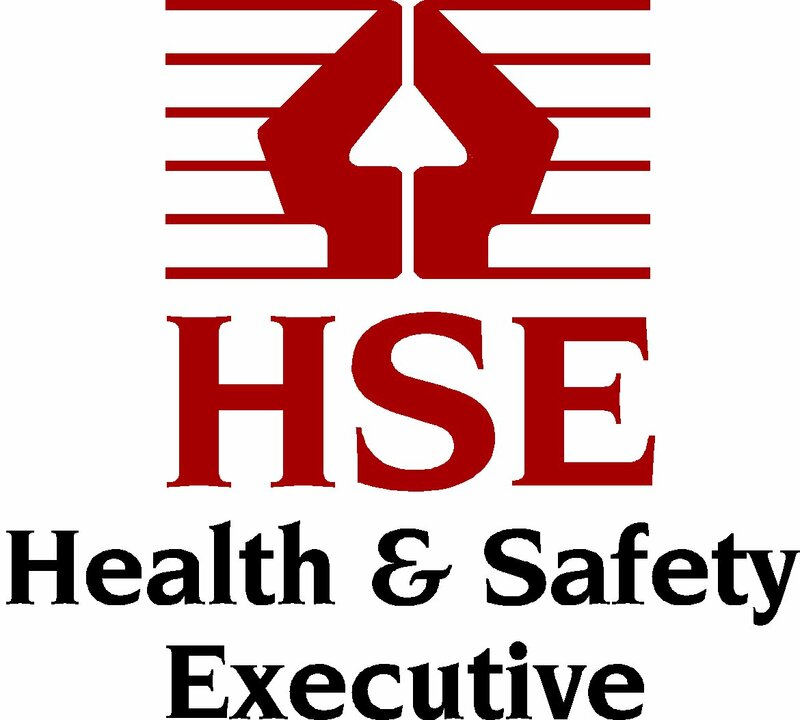 This help sheet will give you advice and guidance on your responsibilities under the Health and Safety at Work Act. It comes directly from www.hse.gov.uk. There are over 45,000 hotels in the UK and fire safety is of paramount importance, not least because non-compliance with legislation can result in loss of life, loss of revenue, fines and imprisonment. Hotel Industry Magazine invites Fireco Conformance and Regulatory Affairs Manager, Tom Welland, to explain why fire safety remains high up on the hospitality agenda is an industry-wide issue. From small B&Bs to large hotels, the main legal responsibilities are the same. Hotel owners and managers need to be aware of the Fire Safety Order (FSO); the current law in England and Wales. The FSO nominates one individual as the ‘Responsible Person’ for a building – generally deemed to be the owner, occupier or employer. Quite often a hotel manager can be the designated Responsible Person without knowing it and without any fire safety knowledge or training. However, just because they are listed as the Responsible Person doesn’t mean they need to know everything about fire safety; someone else can be nominated to be a ‘Competent Person’ for the premises and receive training accordingly. The ‘Responsible Person’ has a duty to fulfil the requirements of the FSO. Those requirements all stem from having a suitable and sufficient fire risk assessment. The hotel manager will need to prove that they have reduced fire risk as far as is reasonably practical and show that they have taken precautions to protect its guests and employees. Non compliance with the FSO can have serious consequences, as one hotel owner recently discovered at his cost. In May 2014, Manjit Takhar, owner of the Bescot Hotel in Walsall, was jailed for 12 months for breaching fire safety regulations. An investigation into the premises revealed the fire exit on the first floor had been blocked by mattresses, in addition the fire alarms were deemed to be faulty. Obstructions were also discovered on the landing and the emergency lighting was inadequate. Ensuring that means of escape routes are kept clear is one of the most important fire safety measures for a hotel. Another important measure is to have fire doors fitted with automatic door closers. Recent Fireco research found that 64% of premises visited by the fire service had fire doors wedged open. Installing automatic door retaining devices such as a Dorgard or Freedor will ensure that fire doors close in the event of a fire alarm sounding, protecting those behind it from the dangerous spread of smoke and fire. Providing adequate training for hotel staff on how to identify and report fire risks will give the owner or manager the power to reduce and remove those risks. Training should start as part of an induction, with regular updates from then on. Ensure that the fire risk assessment is kept as a live document, rather than a ‘tick-box’ exercise carried out once a year. Regular checks of the building need to be made, e.g. that fire doors are still closing properly and the means of escape routes are kept clear of any obstacles. Try to spread out fire training across the year. Regular training updates could involve evacuation drills, how to use a fire blanket, fire extinguisher training and how to change the lint filters in tumble dryers. Keep an online diary of fire safety training with a sign-off for employees. Make sure that everyone who comes into contact with the building is also trained in fire risks including agency staff, builders, cleaners and gardeners. They also need to understand the importance of keeping a fire door closed and not wedged open, and looking out for things like damage to fire doors, frayed wiring and blockages to means of escape routes. Employees need to be made fully aware of the hotel evacuation strategy in order to be able to put this into practice in the event of a fire alarm sounding. The better trained your staff are, the more calm they are likely to be in the event of a fire, which can help save lives. Ensuring your establishment provides for disabled and hard of hearing guests should also be high on the fire safety agenda. In addition to the FSO, every hotel owner also has a legal responsibility to comply with the Equality Act which replaced the Disability Discrimination Acts 1995 and 2005 (DDA) on October 1st 2010. Systems and/or fire safety products should be installed, such as a Deafgard, to ensure that disabled and hard of hearing guests are made aware of a fire alarm sounding and are able to evacuate the establishment quickly and safely. The most important piece of advice is to make fire safety a part of everyday life for everyone that comes into contact with the hotel. Your unit questions to be completed, please print and have a go! You have successfully completed Unit 1 of the course, use your knowledge gained to help you complete the worksheet handed to you by your assessor. Your completion of the unit questions will go towards the overall completion of this unit.